Dante Alighieri was a poet and civic leader in Florence. His enemies had him exiled, hoping he'd disappear from history. But instead he wrote a masterpiece, The Divine Comedy. In an unprecedented move, he made himself the hero of his own epic poem and attained literary immortality. On the 750th anniversary of his birth, we feature this encore presentation of our three-part series. 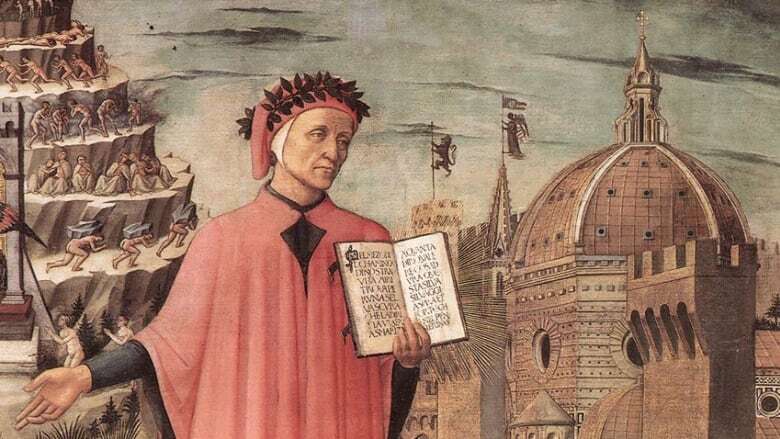 Dante Alighieri has been called the single, greatest poetic consciousness in human history. He was born in Florence in 1265, and came of age during a politically volatile and bloody period. He soon established himself as both a poet and civic leader. But when he fell afoul of papal and city authorities, he was exiled -- a fate only slightly better than death. Alone, dispossessed and completely cut off from friends and family, he re-imagined the cosmos -- and his place in it. His enemies had hoped he'd disappear from history. But instead he wrote a masterpiece, The Divine Comedy, composed of three books: Inferno, Purgatorio and Paradiso. Dante did something no other poet had done ever before: he made himself the hero of his own epic poem -- and in so doing, attained literary immortality. This series was originally produced in 2000. We're airing a slightly updated version now, on the 750th anniversary of Dante's birth. As one scholar says: with The Divine Comedy, Dante made a bet with history. And he won.